Collects MARVEL ADVENTURES SUPER HEROES (2008) #6 and #10, MARVEL UNIVERSE AVENGERS: EARTH’S MIGHTIEST HEROES (2012) #17, and material from AVENGERS: EARTH’S MIGHTIEST HEROES (2010) #4 and SUPER HEROES (2010) #19. Big things come in small packages, and that’s definitely true of the astonishing Ant-Man! Meet the tiny hero with a giant heart in this collection of all-ages adventures. 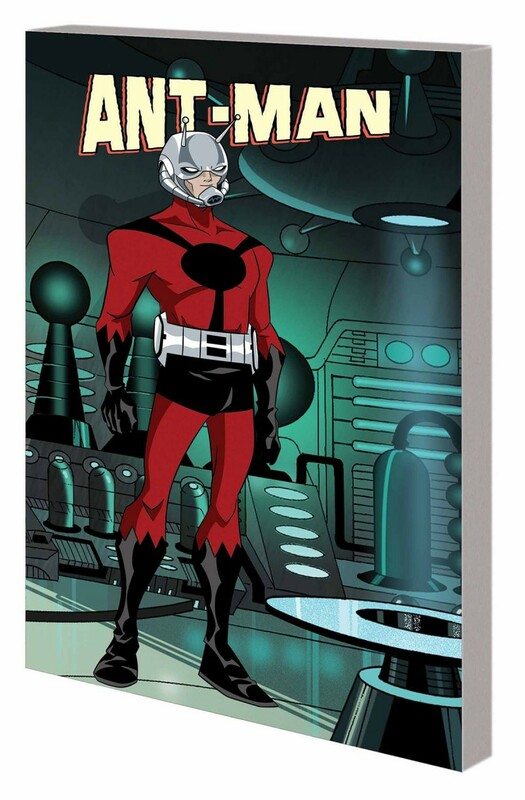 He can shrink and talk to ants - now find out how he uses these awesome abilities to aid mankind! Grab your magnifying glass and learn how the man in the anthill became a size-changing super hero in clashes with the menace of the microverse, Psycho-Man, and the beach that walks, Sandman! But when the Ant-Man outfit is stolen, Power Man and Iron Fist are hired to hunt it down. Will what they find be a whole new hero?